This is a set of two Schumacher "Cut Stagger" Low Profile 2.2 1/10 Buggy Front Tires. 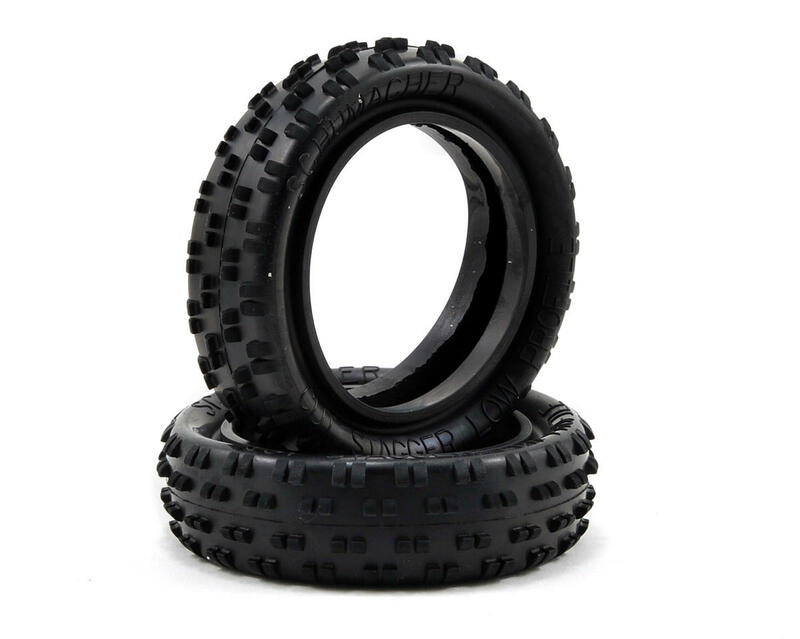 This tire provides slightly more initial turn in than the higher profile standard Slim Cut Stagger tire, and should be used when you need less bite than a Mini Spike, but more bite than a Stagger Rib. Blue: The hardest available, a general purpose, hard wearing compound. Green: Medium Compound. Slightly softer than Blue, generally used as an all around compound and works well in both wet and dry conditions. Yellow: Soft Compound. The racers choice! The benchmark tire compound for all others to try and beat. Excellent choice for dry conditions. Silver: Super Soft Compound. The ultimate dirt/dust tire. Note: These tires do not include inserts. Schumacher recommends not using an insert with this tire. I only race on ozite grey carpet and these tires in the yellow compound are the best. 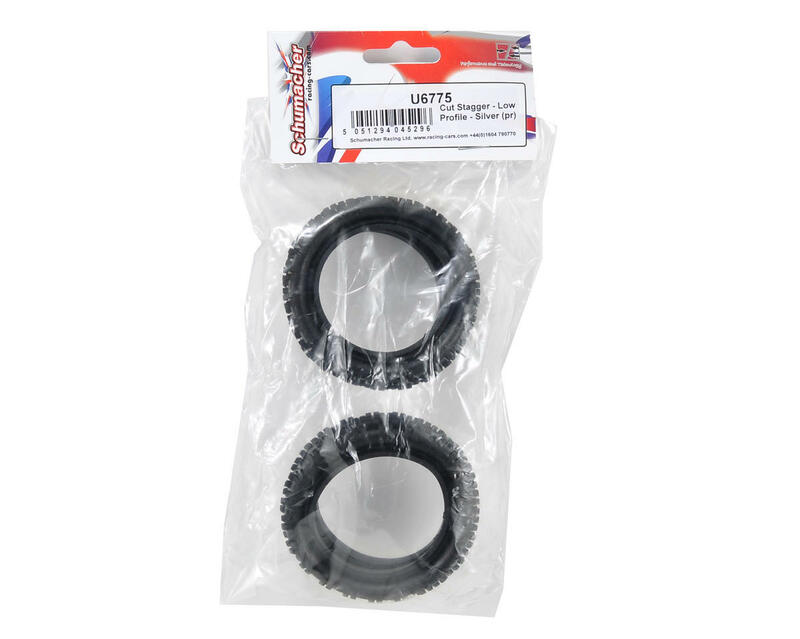 Other tires will work but these provide the best balance between on and off power steering. This is the 2WD front tire to get for carpet and astroturf. Make sure to cut your rims on the outside (like an 8th scale wheel or one of the new breed of wheels coming from PL and JC) and cut away the inner section where you'd normally mount your tire. It may seem a lot of work, but it is well worth it! No inserts required.